One bumper plate of specified weight in lb. Steel collar. 450mm (17.72") IWF regulation diameter. 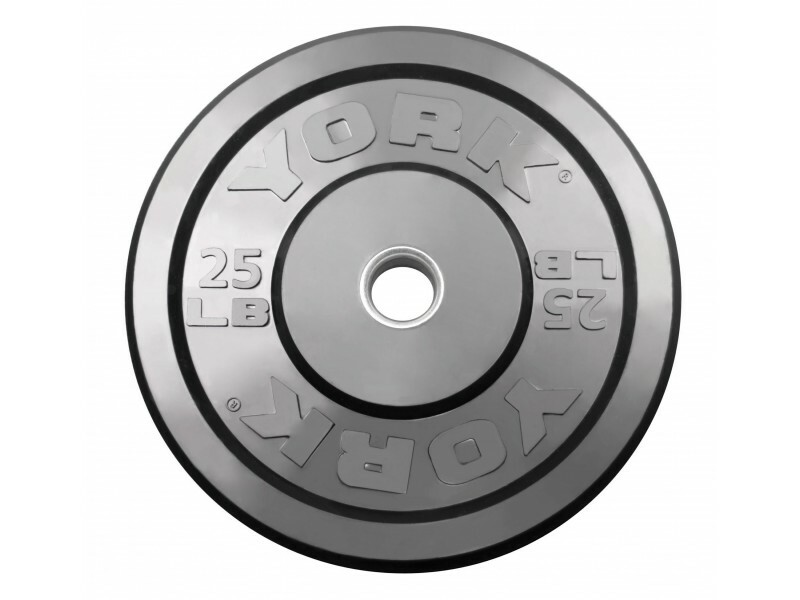 York Barbell has decades of experience in producing high quality olympic weightlifting equipment. These economy bumper plates meet the standard to carry the York Barbell name. 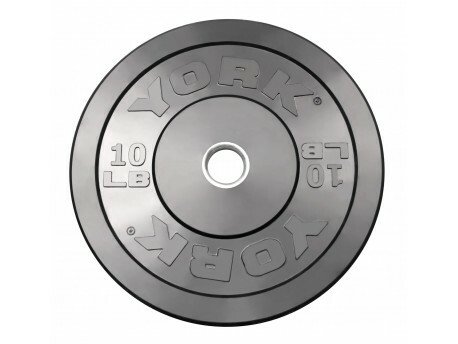 These bumper plates, and all of York's current models of plates, have slightly larger center holes than "snug" plates, making for a relatively loose fit on bars made with strict 50mm (1.97") diameter sleeves. 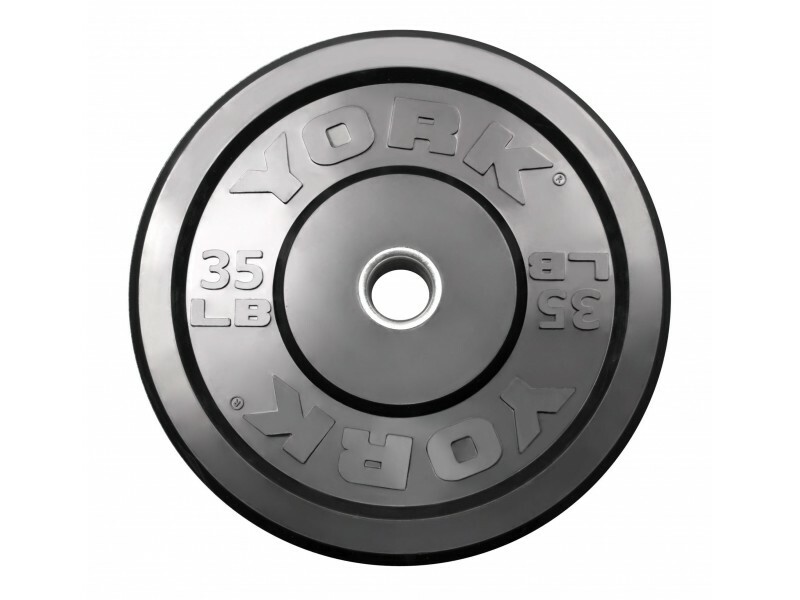 Do not use this 10lb bumper plate on the bar by itself. It will bend a little and will break if dropped. 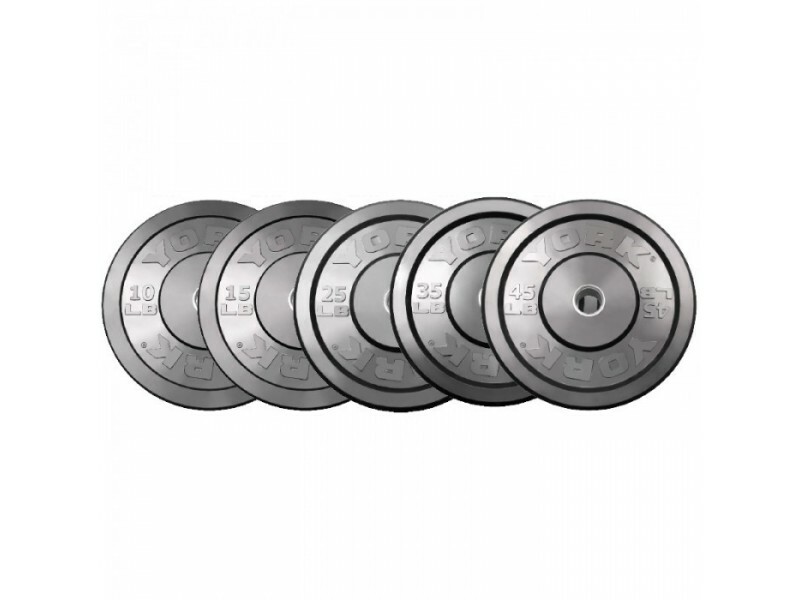 It is meant to be used along with other bumper plates 25lb and larger on the bar. 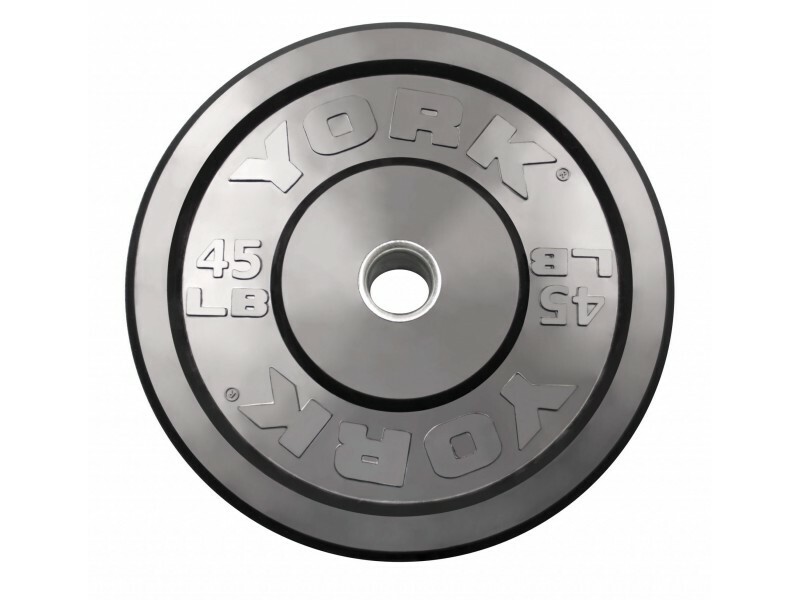 We recommend the Troy VTX Color Bumper Plates for easier identification and a more durable 10lb plate. Here's a video of our customer Rusin using these York bumpers he bought from us in 2016.